Silver petite glitter corsage leaves. 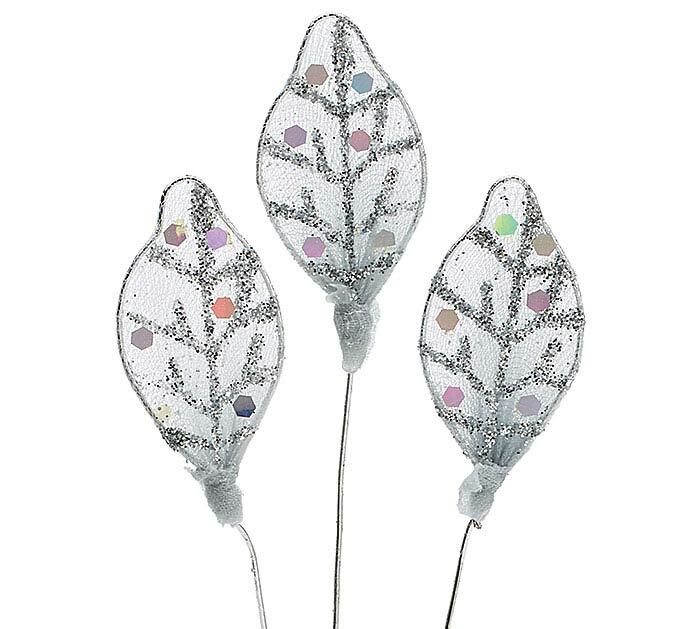 Silver leaf shaped wire with sheer silver fabric and glitter on leaf. 1 1/2"H X 3/4"W, 6" tall.